Wondering how real estate ended in 2011..... Here is a quick snapshot per square footage of how each housing segment ended the year. 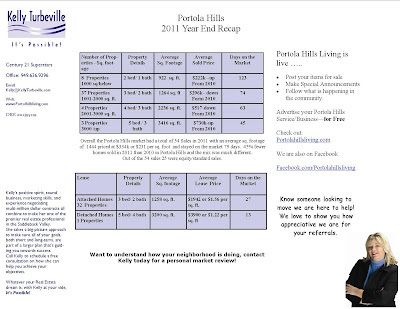 We heard many times through the year that hottest market in Orange County was Portola Hills. This is a direct result of supply and demand. 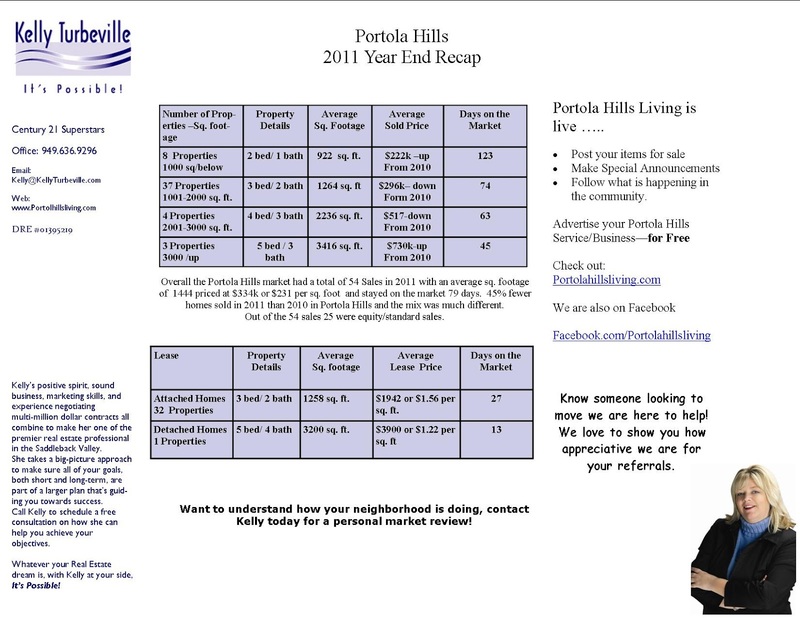 No supply, high demand and with just 54 listing sold in Portola Hills in 2011 that was evident. In 2010 96 homes sold. Wondering how this relates to your home, give us a call and we would be happy to run the numbers for you. One thing is for certain. Opportunity is knocking! !